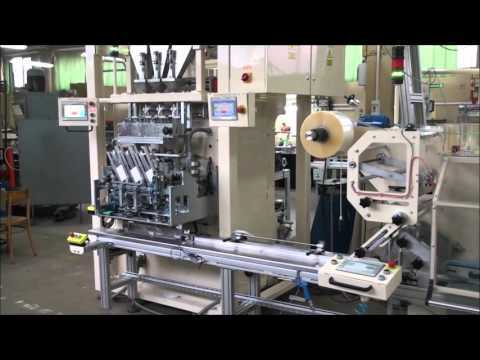 The automatic Tea-jack machine APO-11-3TrSF 3 lines is designed for packing tea into heat sealed filter paper tea-jack bag with gussets on each side with tag. It is possible to use Flow-pack machine for overwrapping teabags into cellophane. Thanks to this machine you are in a position to produce exclusive product especially to hotels, restaurants or tearooms. Then you pack flavoured and good quality tea blends, aromatic herbs or pharmaceutical infusion you are in a position to protect aroma using overwrapping teabags by means of Flow-pack machine.